There’s nowhere quite like Chorlton, with its foodies, its craftspeople, independent traders and an unrivalled choice of places to eat, drink and be merry. 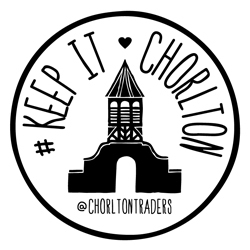 When you shop local, you’re supporting friends and neighbours, so love where you live and keep it Chorlton! The city centre? That can take care of itself. We have not one, but three High Streets: Manchester Road, Beech Road and the district centre, where Barlow Moor meets Wilbraham. All three offer a diverse and lively range of independent shops, bars, cafes and markets. We have arts and green spaces, sports and community celebrations and a festival calendar of our very own. the TAG! Pass it On loyalty card – new for 2019. Exclusive deals and discounts with local independent traders – it even works in Didsbury too. 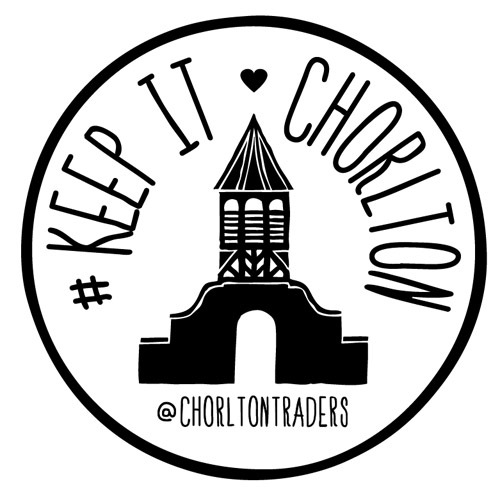 the Chorlton bag – roll it up in your bag or pocket and help keep our town plastic-free.